Land For Sale, Roda — Construction Corfu Property and land for sale in Corfu Greece, we can help you to find or build your ideal home. This land for sale is in Roda, Corfu, in the north of the island. The levelled plot is perfectly suited for any type of construction. Its location and broad surface make it ideal for investment projects or building a luxury dream villa. 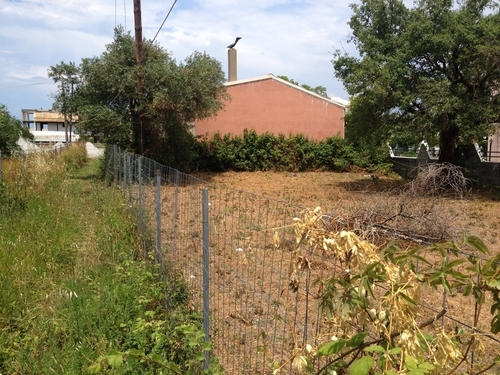 The land is 450 sqm and it is 50m from the asphalt road. It is a 5-minute walk from the sea. It is situated behind the Coral Hotel in Roda, near to the Elizabeth Apartments. Water and electricity facilities are already established at the plot’s entrance. The local amenities (restaurants, super markets, Doctor, etc.) are only a few minutes away from the property. This estate is ready to be built on and would make an amazing investment. We can provide you with the license and a quote for building the house of your dreams.